Home Makeup Eyes Top 10 Best Mascaras Out There, Hands Down! Mascara is an integral item for makeup, used by women. Applying mascara is part of eye makeup, and one can use natural colors or the black one, complementing your look. One would not want the mascara getting flaky or smudged within some minutes. The right mascara can help in this regard. Mascaras can make lush lashes and eyes pop, and the best ones can grab and coat even the last lash, without clumps with adequate volume, style and definition perfectly. 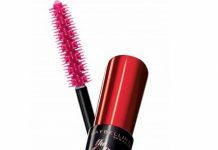 The below-mentioned mascaras are very popular and boast of incredible features that work well for casual as well as specific needs. Shop all the range of mascaras from Shoppers Stop. 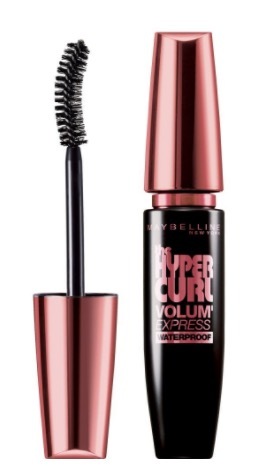 This mascara is great enough for creating luscious curly lashes owing to its curl lock formula that provides enough length and is long lasting for about 18 hours. 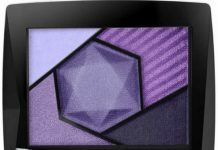 It also delivers the deepest black color that adds charm to your face and does not weigh lashes down. Price – Rs.325. 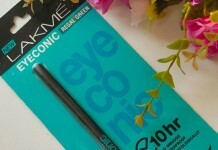 This Lakme Eyeconic Curling Mascara offers a terrific and intense black finish and works like a precise wand with a lightweight formula. It is popular among the crowd as it adds the much-required definition to the eyes while keeping the lashes soft and enriched with panthenol that moisturizes the eyes. It is also smartly budgeted and easy to remove with makeup removers. Price – Rs.350. This Water Tight Mascara by Revlon is known for its water-resistance and its smudge and tear proof capabilities. It can enhance your lashes with the right volume. It is also all-day long-wear mascara that separates each lash, leaving a soft effect. It can last for nearly six hours and does not flake or smear on the face. Price – Rs.510. This is a two-in-one product that uses the dual-wiper system for an intense black look while adding much-needed definition to the lashes. It delivers a glam and gorgeous look while also providing a casual day wear look through its two varied orifices. Additionally, it is water-resistant and easier to clean too. Price – Rs.650. This mascara volumizes your lashes while the millionizer brush can separate each and every lash perfectly. The brush includes short and long bristles to coat every lash evenly. They do not smudge or clump and hence provide a natural, long-lasting look. It even holds the curl well, adding definitive length to the lashes. Price – Rs.895. The Papillon Mascara includes a wing-tip brush that adds volume and length to each and every lash. Also, it is smudge proof like the others on the list and boasts of a long-lasting effect. It stretches the last impeccably and even curls them well. The wand of the mascara is made up of cocoon fibers giving it better control. Price – Rs.895. 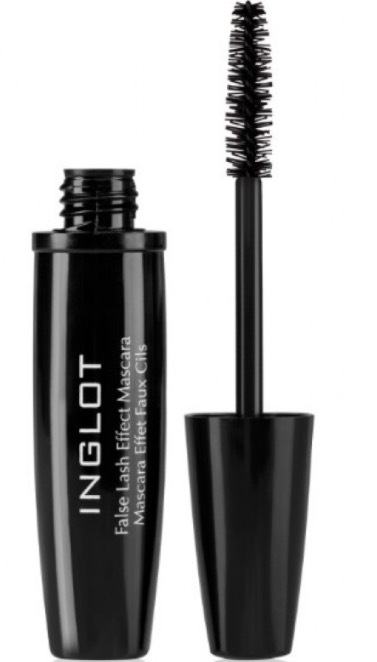 Here is a mascara from Inglot that maximizes lashes in super black. The brush applies precisely and quickly, including the roots of your lashes. This smudge-proof formula stays longer than the others while being easily removable since it is not waterproof. It also hands the desired effect in one sweep along with the effect of false lashes efficiently. Price – Rs.1050. The High Impact Mascara impacts the right length and volume for each lash, as it thickens and volumizes instantly. It is also clump-free and smudge-free. It can define and enhance every lash while the rich color adds intensity to the overall look. Price – Rs.1850. This mascara gives its users, bolder and bigger lashes. It lengthens and volumizes them with a dark black color that is long lasting and does not smudge too. The domed tip can help in working on every lash, including the corners. Price – Rs.1900. The lightweight formula in this mascara provides dense volume, enhances the length of the eyelashes, and creates quality curl too. 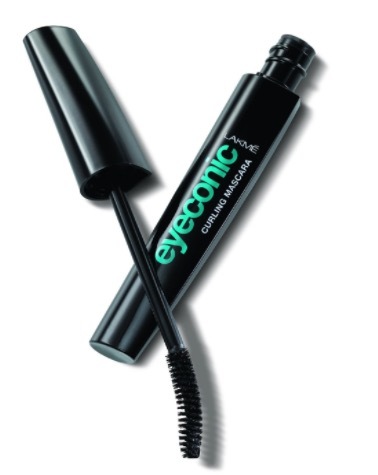 The mascara can soften and condition the lashes while the tip is precise enough for easy application. As others on the list, it is smudge-proof, flake-proof, and even clump-free, while being absolutely safe for contact lens wearers. This was a worth reading article IBH! I know the struggle is real to find the best mascara without flaws but I guess it was fun to try them all, holy moly I have found my best. The applicator needs to be amazing and it should not be clumpy and must give you defined voluminous lashes right?